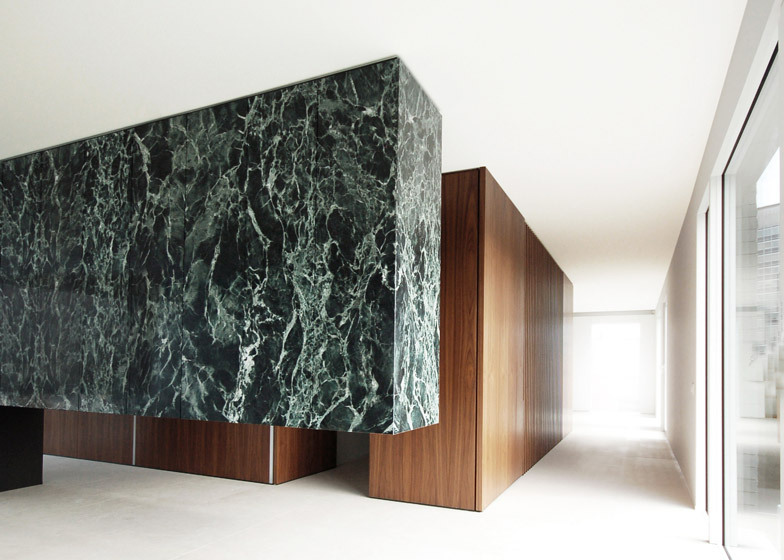 Belgian studio De Meester Vliegen Architecten redesigned an apartment at the top of a building in Antwerp with surrounding views over the city centre. 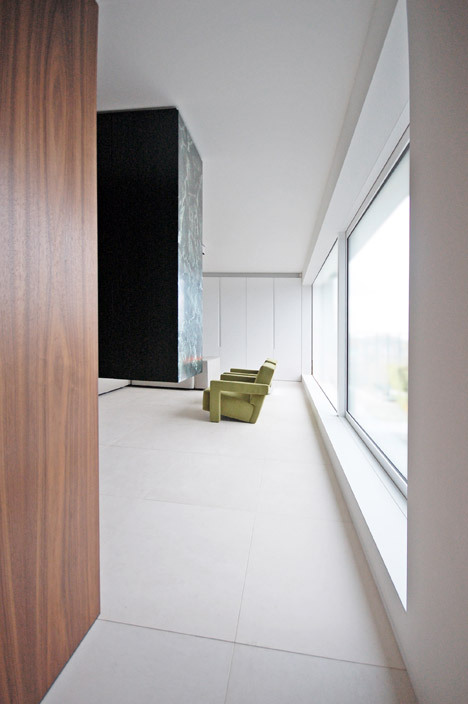 Timeless simplicity, purity of forms and rich materiality define the atmosphere of the minimalist new penthouse that also functions as a private office. 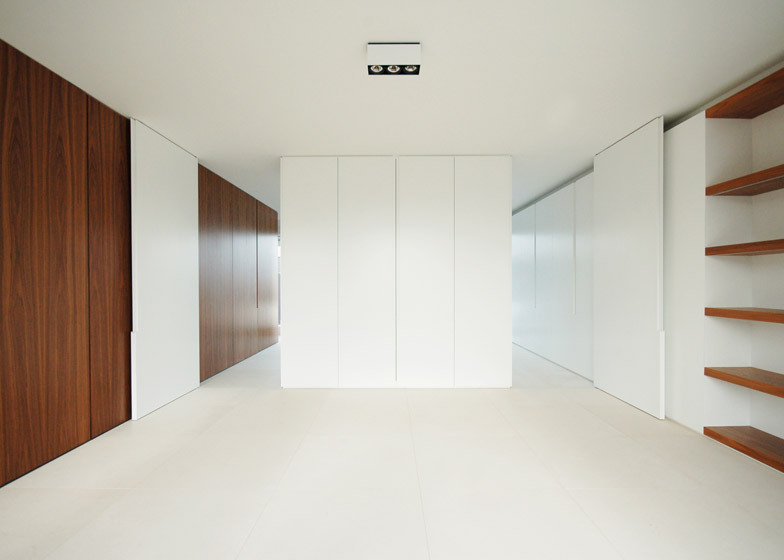 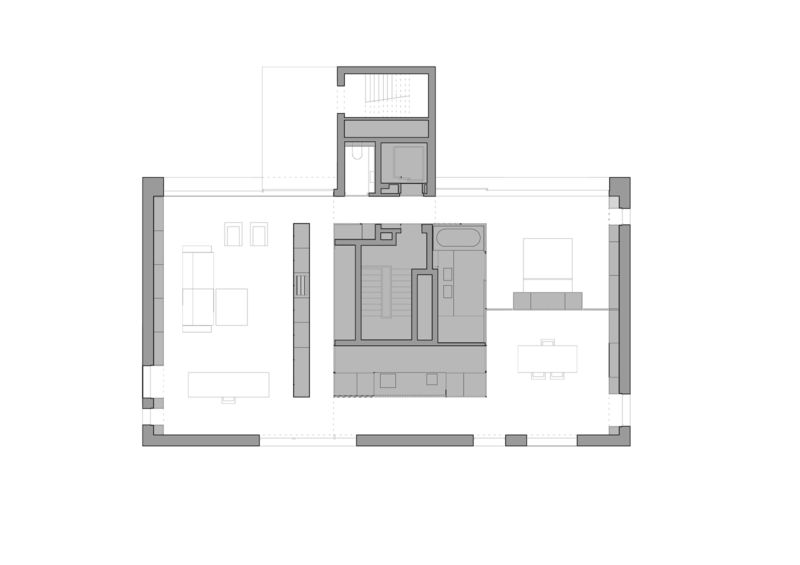 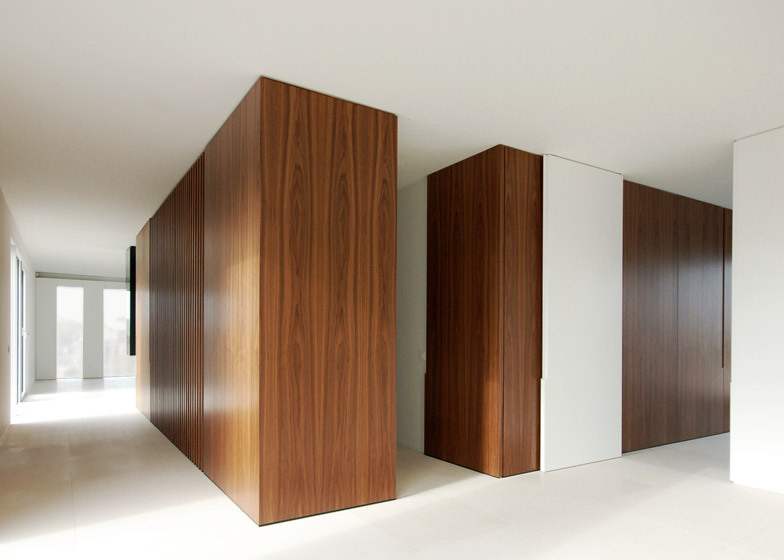 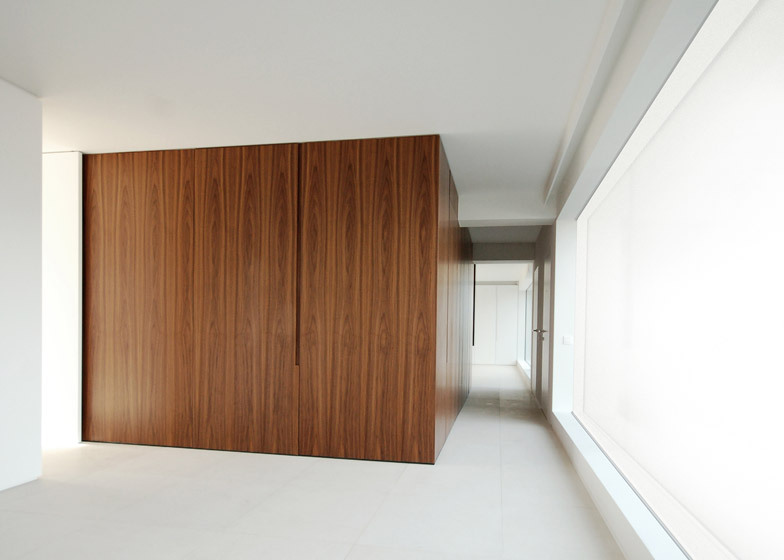 Most of the functional elements of the apartment, including kitchen and storage facilities are located into one central volume, a “floating” storage element clad in nut wood veneer with a polished finish. 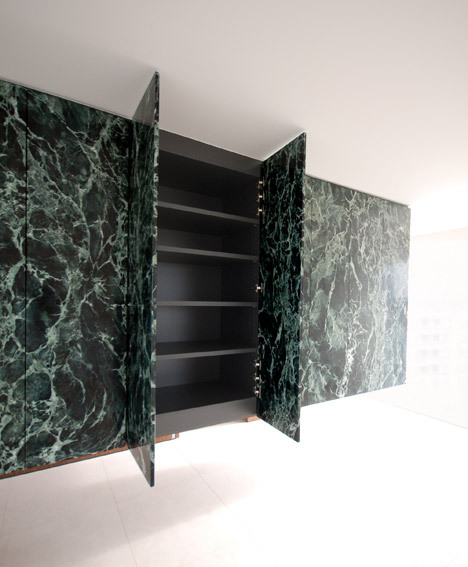 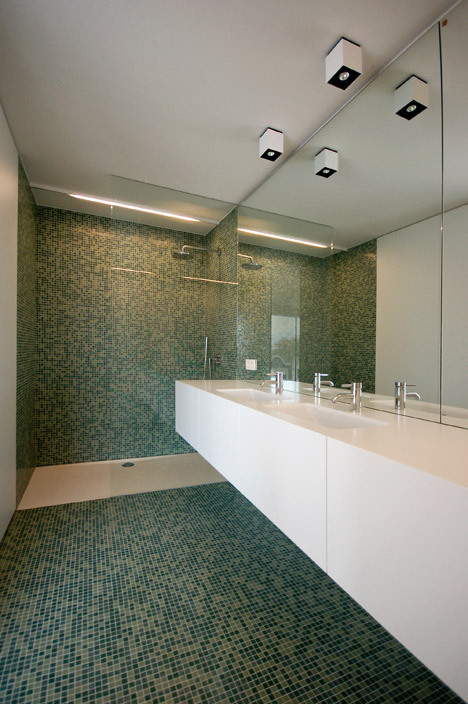 This massive volume functions as the divider of different areas and organizes circulation. 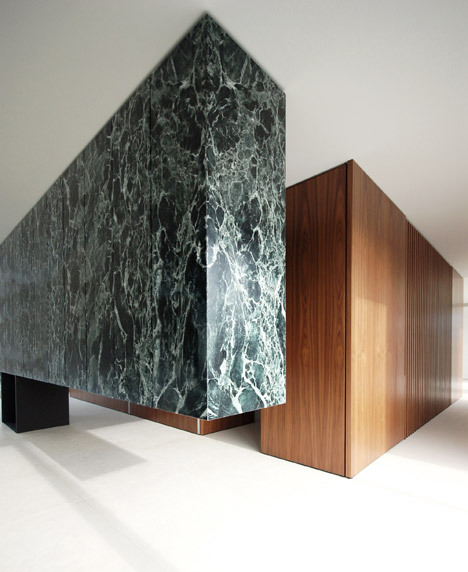 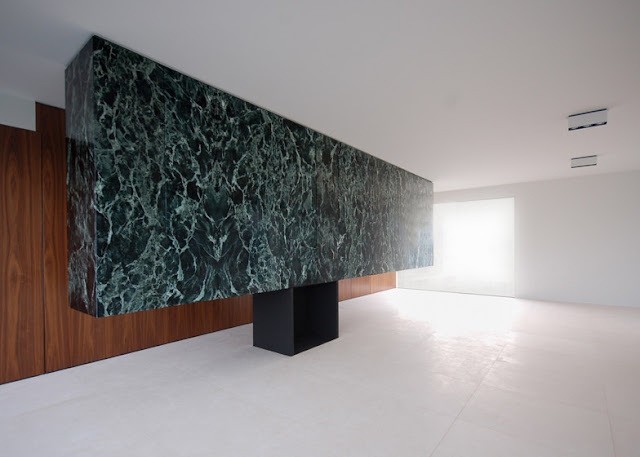 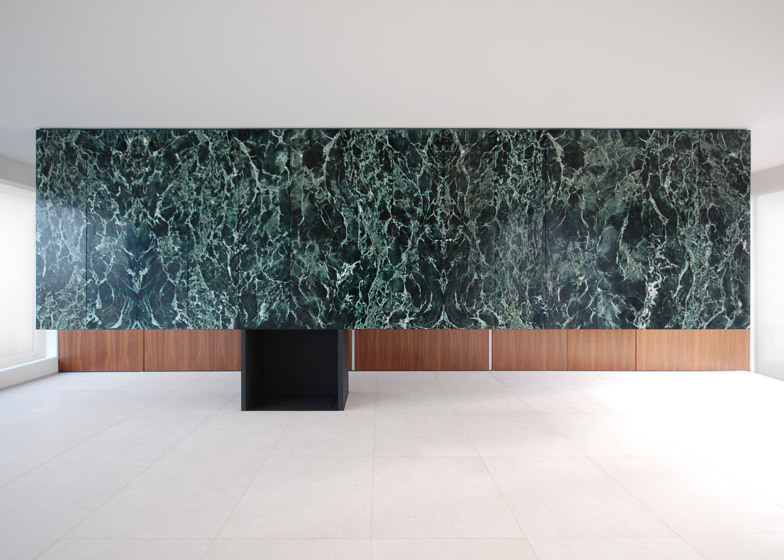 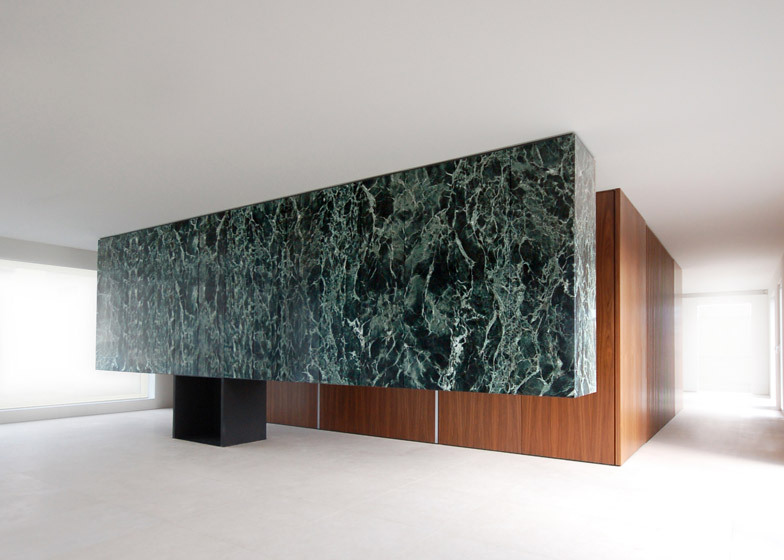 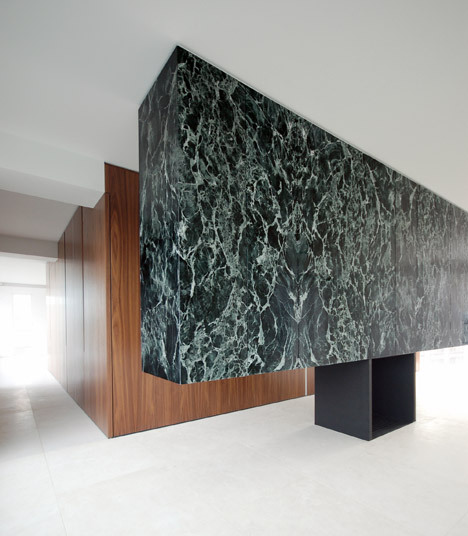 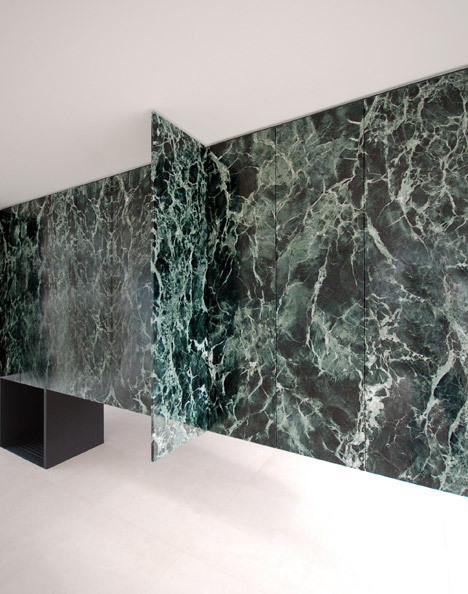 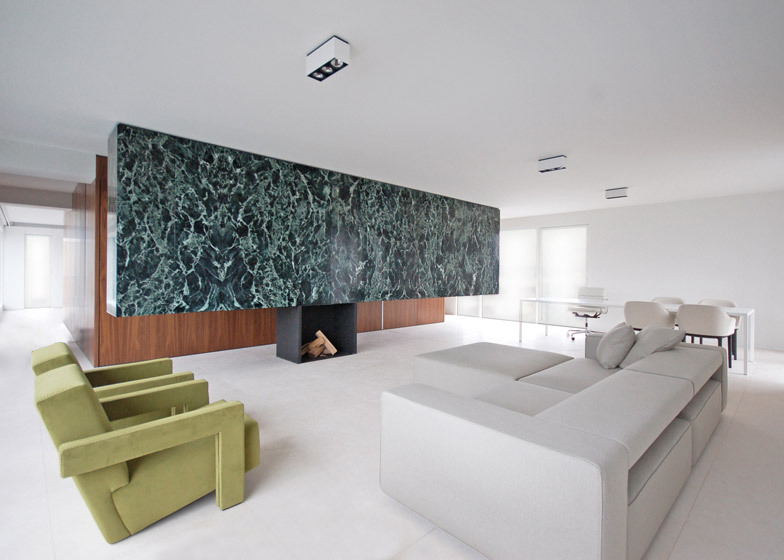 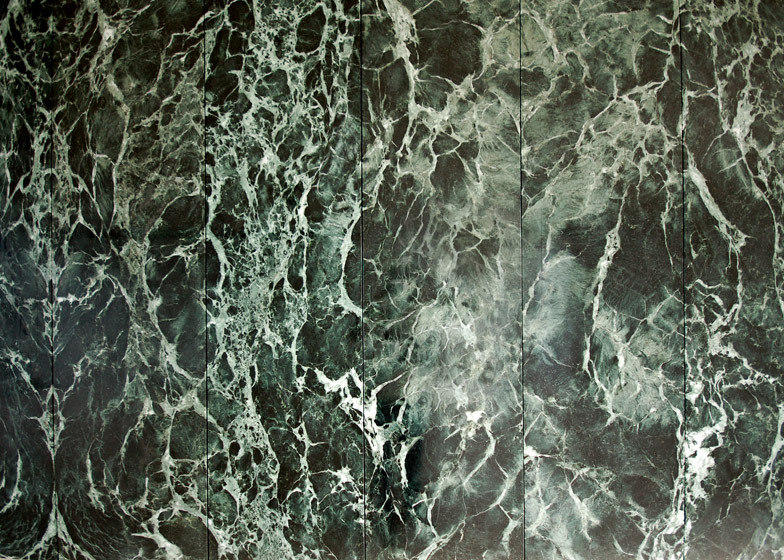 It also creates a dialogue with the stunning seven-metre-long monolithic stone partition of verde patricia marble by Van Den Weghe that hangs from the ceiling and sits on top of a steel fireplace.